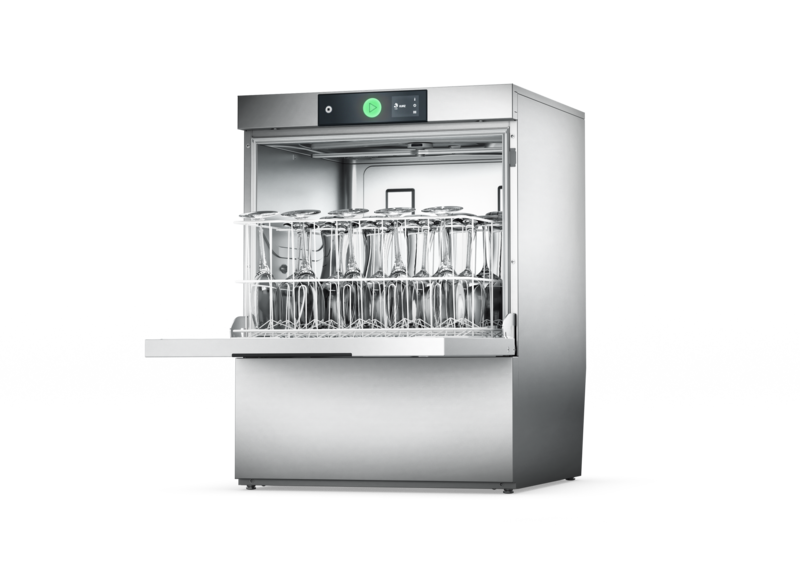 The PREMAX GPCROI with its integrated reverse osmosis and the integrated drying is the perfect machine for producing the perfect glass. 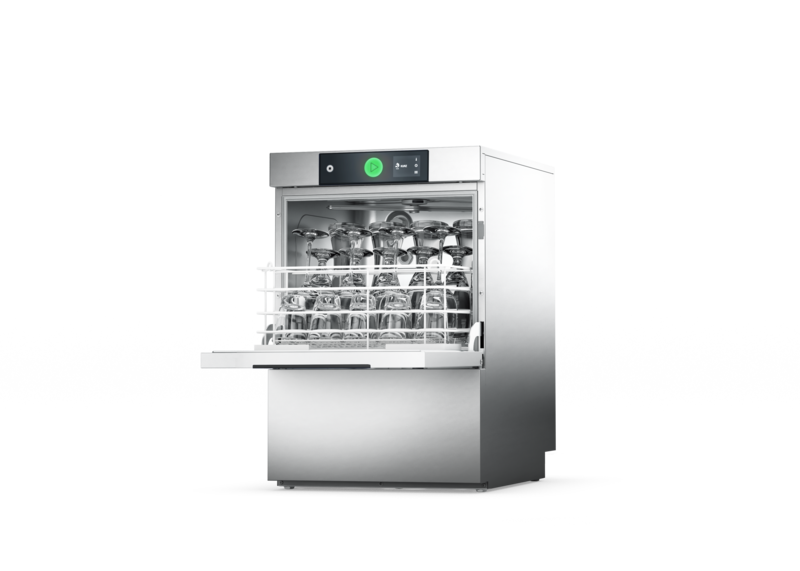 It is the ideal solution for bars and counter areas, as no steam escapes when the door is opened. Rack size 500 x 500 mm, installation height of 820 mm. A smaller model for professional use in bars, restaurants and hotels. 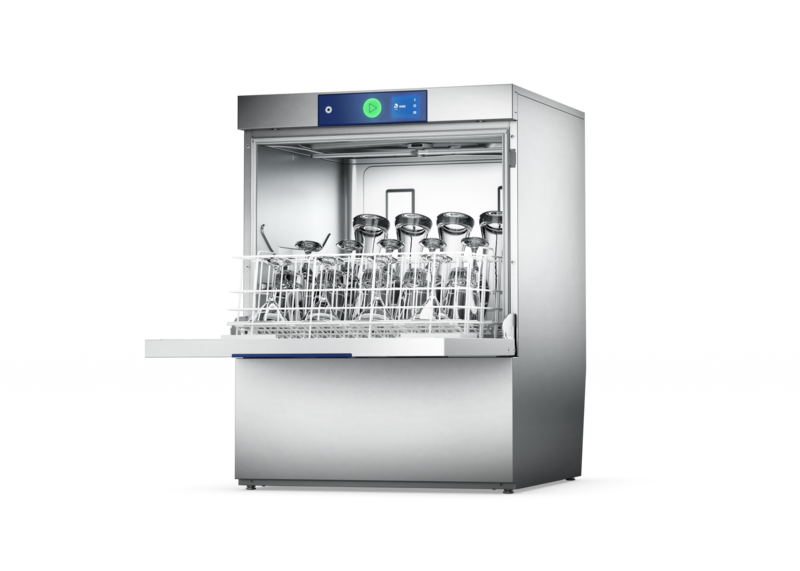 With a water consumption of just 1.9 litres this is the most economical glasswasher on the market. Rack size 400 x 400 mm, compact installation height of 705 mm. 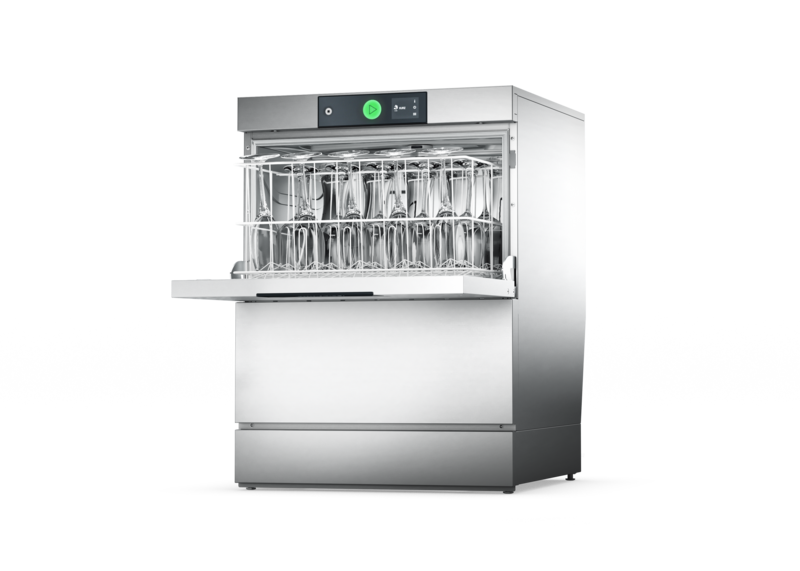 The large PROFI model for the bar, restaurant and hotel industry with high washing volumes. Rack size 500 x 500 mm, installation height 825 mm. The perfect solution for high washing volumes but low installation height under the counter. Rack size 500 x 500 mm, compact installation height of 705 mm. The premium model with integrated drying provides a perfect drying result. 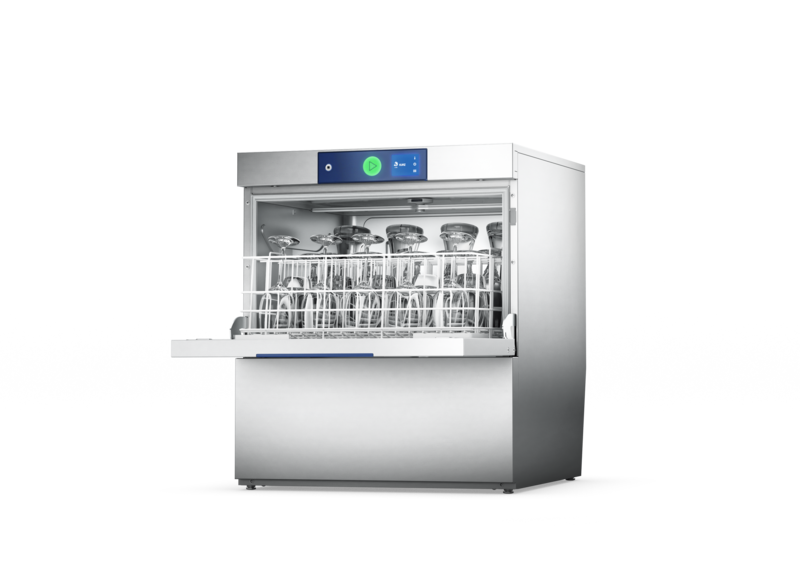 It is the ideal solution for bars and counter areas, as no steam escapes when the door is opened. Rack size 500 x 500 mm, installation height 825 mm.